This certification, created in 1981, imposes a range of strict specifications on candidate villages: they must be rural and have exceptional natural and architectural heritage, and residents must display a collective will to develop their area. To date, just 157 villages – including six in Charente – have received this prestigious award. So hit the road and prepare to be charmed! Located at the far west of Île de Ré, this little local architectural gem is easily recognisable thanks to its black and white painted church tower that stands 40 metres tall. This “daymark” is visible from miles around and is a valuable point of reference for sailors. With its pretty, lively harbour and its flowery alleyways lined with green-shuttered white houses, Ars-en-Ré will undoubtedly beguile you! The village was founded by salt marsh farmers, and there are still 60 salt merchants working the marshes at Fier d’Ars. Get on your bike and hit the cycle paths that traverse this maze of salt marshes where the famous Île de Ré fleur de sel is harvested: exciting discoveries and scenery come guaranteed! Located in the south of Charente, this “Small Town of Character” (Petite Cité de Caractère®) is built around a bend in the River Dronne, which marks the boundary between Charente and Périgord. This ancient stronghold was named “Terra Alba” (white land): as you’ll notice, the light chases away every last shadow here! Explore the steep alleyways that lead up to painters’ workshops in art boutiques while offering amazing views at every turn. Explore white houses boasting Spanish-style balconies, the wash house and the Romanesque façade of Saint-Jacques Church. Take a break on the village’s beach terrace, which has an atmosphere that wouldn’t be out of place in the south of France, before heading off to explore a unique and unexpected marvel, the underground Saint-Jean Church. Hollowed out of the cliff under the château, this one of the highest churches in Europe, and its dimensions really are vertigo-inducing: it’s 27 metres long, 16 metres wide and has a vault that soars 20 metres up, all carved out of the rock by hand! 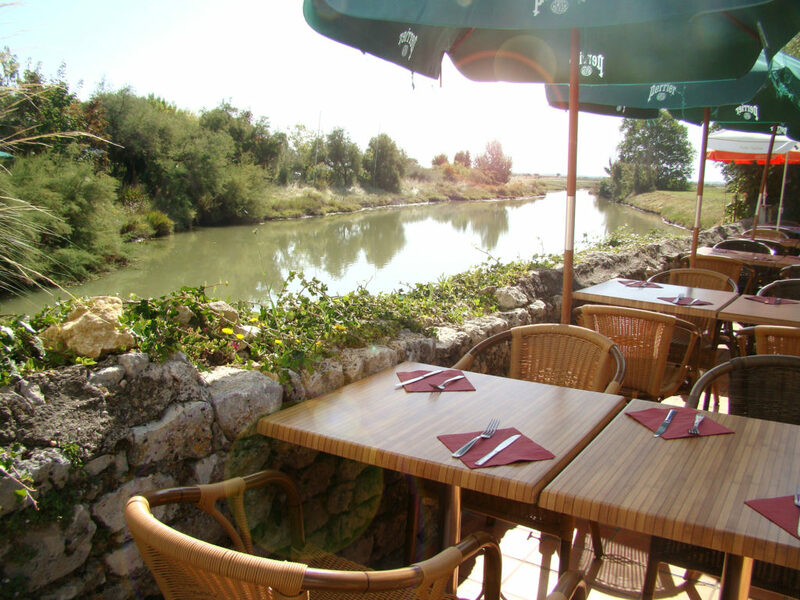 After this surprising visit, head to the nearby River Dronne for a dip, a canoe trip or a riverside picnic! Nestled in the marshlands between Rochefort and Île d’Oléron, this stone fortress, which was formerly surrounded by the ocean, was one of the biggest salt trade ports on the Atlantic coast. Transformed into a military fortress on the orders of Cardinal Richelieu, this military base, reputed to be impregnable, housed a garrison of 6,000 men, a dockyard, forges, a hospital and even an underground harbour! The imposing ramparts, remodelled in the 17th century by the famed Vauban, were, however, powerless against a silent but relentless enemy: silting. Once forgotten by the ocean, Brouage fell asleep for several centuries. Today’s village has preserved the appearance given to it by Richelieu, although pretty craft stalls have replaced the salt merchants. Go and explore the covered food market, the cooperage, the forges, the gunpowder magazine and the cold room. Don’t forget to climb to the top of the ramparts (which are 2km long). There, you’ll discover a breath-taking view of the village’s military architecture and the former Gulf of Saintonge, which has become an immense marshland and an oasis of calm for thousands of birds. You’ll catch a glimpse of the village of Hiers (which used to be an island!) and, in the distance, the Île d’Oléron. 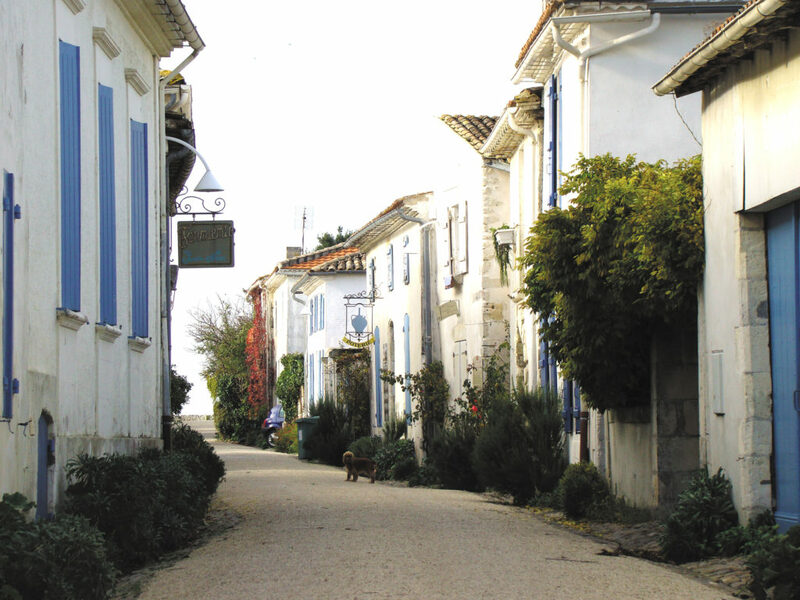 Located opposite the Vendée coast, La Flotte is one of the oldest villages on Île de Ré and a well-known port of call for sailors. With its unusual curved jetty that stretches 200m to the green lighthouse that guides sailors, the pretty harbour is lined with terraces and small bistros and beats to the rhythm of the boats’ comings and goings. Get lost in its narrow, flowery alleyways and admire the handsome 18th century houses on Cours Félix Faure. Above all, don’t forget to fill up on local delicacies at the magnificent market with its medieval-inspired architecture, open every day of the year! After this lovely stroll, take advantage of how close you are to Arnérault beach and opt for a swim or a contemplative break next to the ocean! This magnificent medieval village located inland from Royan sits at the mouth of the Seudre estuary. A former fishing harbour, the village is now dedicated to oyster farmingand harvesting salt from the salt marshes. 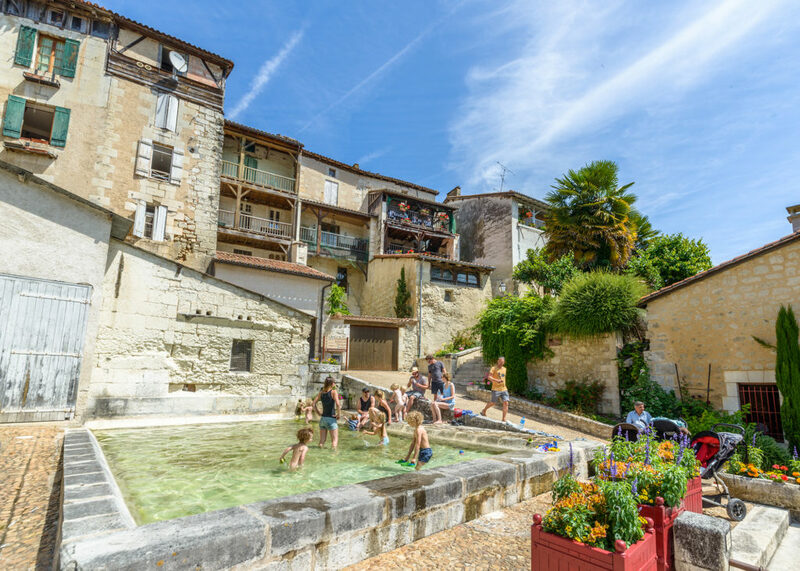 With its flower-filled alleyways along fishers’ houses with green and blue shutters, medieval markets, a Romanesque church, artists’ workshops and colourful huts, Mornac-sur-Seudre offers picture-postcard scenery! After wandering around the paved alleyways, head off to explore the marshlands and the Seudre estuary. You can walk on the pedestrianised Taillées , a 5km hiking route along the seawall; meet a salt merchant who’ll help you discover the world of the salt marshes; and navigate the channels by boat, kayak or even paddleboard, before enjoying a big plate of oysters, freshly caught from the nearby oyster beds! The “pearl of the estuary”, the “gem of Saintonge” – superlatives abound when you’re describing Talmont-sur-Gironde, and with good reason. 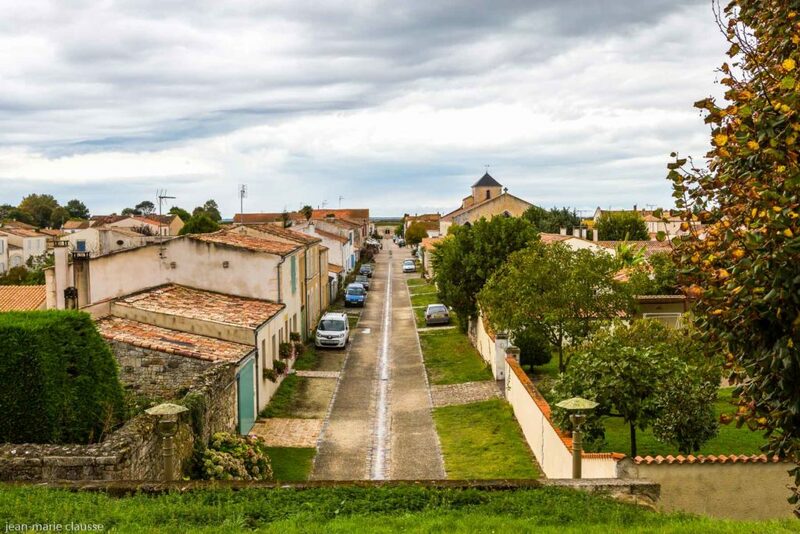 For more than eight centuries, the village has perched on the peninsular and watched over the Gironde estuary, which reaches all the way over and is 12km wide! This former fortified town, founded in the 12th century, was a formidable bastion and much of it still remains. 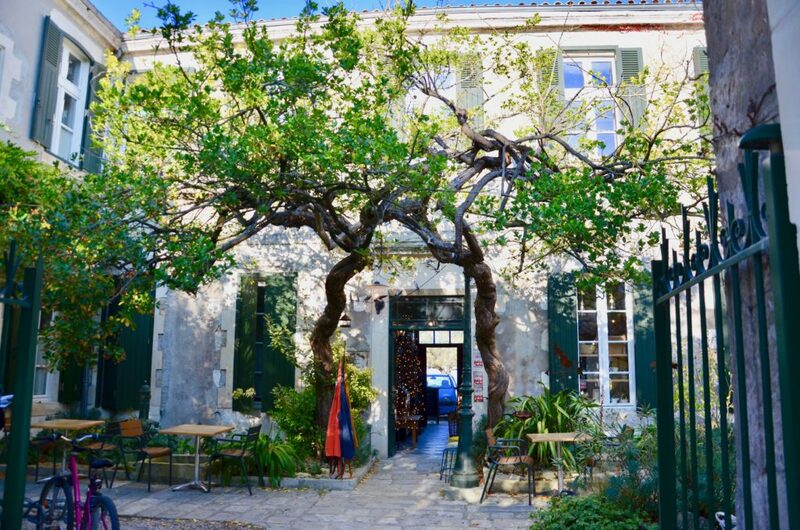 Once you cross the narrow isthmus that links the village to the mainland, its charms are immediately obvious and you won’t be able to resist the straight alleyways lined with white, colourfully-shuttered houses and craft stalls. After walking along the ramparts, you’ll spy the squat outline of Saint-Radegonde Church standing proudly on the cliff. Built in the 12th century by the monks of Saint-Jean-d’Angély Abbey, it’s a real Romanesque art gem. Just behind the church, take the rampart walk, an old path that circles the fortress and offers dizzying views over the Gironde estuary. You’ll spot Pointe de Graves and the Médoc coast. Here, you can admire the most impressive vestige of the medieval fortress, the White Tower, named by the English after the famous tower of the same name in London. Don’t miss the view over Roche Caillaud, its vineyards and extremely peaceful set of colourful fishing cabins!